Mesut Ozil (£9.5m) has the form and fixture to deliver for Fantasy Premier League managers as a big final-day differential. Revived in Arsenal's 3-4-2-1 set-up, the 28-year-old playmaker has produced a goal and two assists in his last three starts and also scored in the 2-1 win over Middlesbrough in Gameweek 33, when Arsene Wenger first introduced the Gunners' new formation. Arsenal remain in the hunt for a top-four finish and a victory in Sunday's Emirates Stadium meeting with Everton is essential if they are to overtake either Liverpool or Manchester City. Ozil’s improved performances have been a crucial factor ib Arsenal's late surge, and are reflected in his underlying statistics. He has created more chances (28) than any other FPL midfielder over the last six Gameweeks. Indeed, since Arsenal's change of formation, Ozil has created a scoring chance every 22.1 minutes, compared with 30.9 minutes prior to Gameweek 33. In Tuesday night’s 2-0 win over Sunderland, Ozil conjured 12 key passes – four more than any other player in a single match this season. Everton arrive in north London with a disappointing record on their travels against the top six. Ronald Koeman’s men have conceded 13 goals in five away trips against those sides, and have won only four of 18 matches on the road. Everton's record away from Goodison Park, coupled with a motivated Arsenal attack, provides Ozil with the platform to maintain his current trajectory. But such is the form of team-mate Alexis Sanchez (£11.6m), the gifted German struggling to capture the attention of FPL managers. 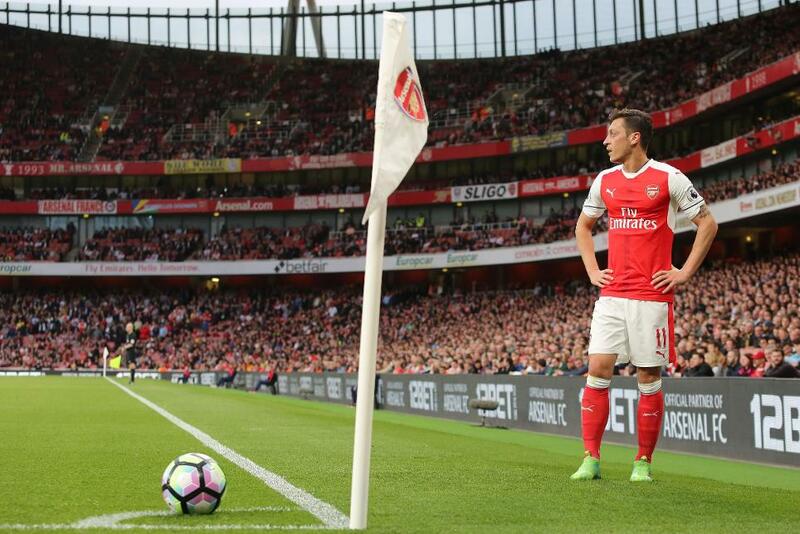 Ozil has been acquired by just 4,600 since Friday’s deadline, with Sanchez (18,000+) and Liverpool’s Philippe Coutinho (£8.5m and 85,000+) the most popular midfield acquisitions. Sanchez now boasts an FPL ownership of 28.7%, compared with 7.5% for Ozil. With three successive double-digit scores, the Chilean is undisputedly the main attraction from the Arsenal attack, but there is merit in pairing Sanchez with Ozil for the final Gameweek. Ozil’s performance against the Black Cats illustrated his potential as a source of assists via his understanding with Sanchez. Combining for vital goals in the last two victories, Arsenal's big ticket FPL options look primed to carry them to another win with Ozil a compelling differential.